Recently I received some items from NYX Cosmetics to try out and review. I absolutely adore NYX Cosmetics and have been using the line since it was first introduced to the USA years ago and first becaame popular. It is a line for makeup artists and makeup enthusiasts alike. The line keeps their prices reasonable and the product quality is amazing. I love NYX Cosmetics, which is named coincidentally after the Greek goddess of the night. Brighten up your complexion and let some shine in! The radiant shimmer of this illuminator diffuses light so your skin looks vibrant and refreshed while adding a subtle glow. Available in 5 radiant colors: Chaotic, Enigmatic, Magnetic, Narcissistic and Ritualistic. I tried Enigmatic (soft pink with gold sheen) and Narcissistic (champagne with gold sheen). They go on beautifully and make your cheeks look amazing. Can be used as blush or over blush for best results. 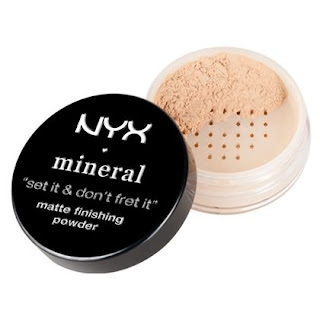 A mineral finishing powder that sets your favorite look with a flawless finish; skin appears fresh and radiant throughout the day. 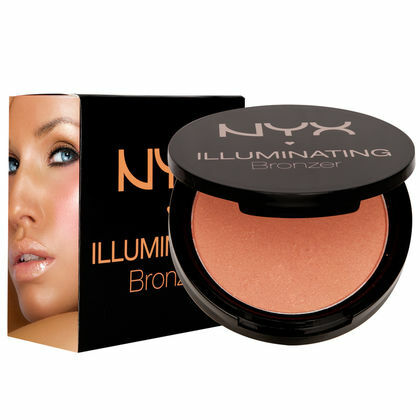 Just a hint of color provides enough coverage to be worn over makeup or on bare moisturized skin. Comes in two shades, Light/Medium and Medium/Dark. Wears all day long and keeps skin mattified all day too. 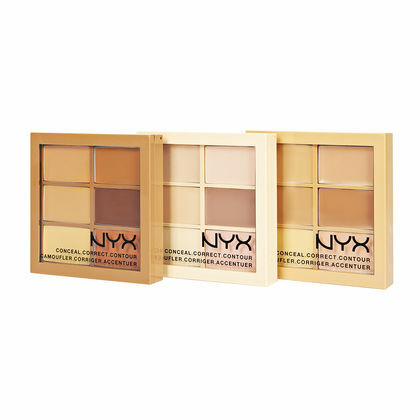 Color-match your skin using NYX Cosmetics perfecting and correcting palettes to conceal correct or contour. With six shades to choose from in each set you can cover up problem spots even out imperfections and accentuate your best features in a flash. Use these buildable colors on their own or combine them to create the ideal tone. I received the medium palette, which was too dark for me but the light palette would be perfect for me to try out, I am very light complected. Sometimes I can handle a medium, say in a powder but not in a cream. Prep and brighten your complexion in just one simple step. Start off your routine with NYX Cosmetics Born to Glow Illuminating Primer, the next generation of their fan favorite Illuminator. 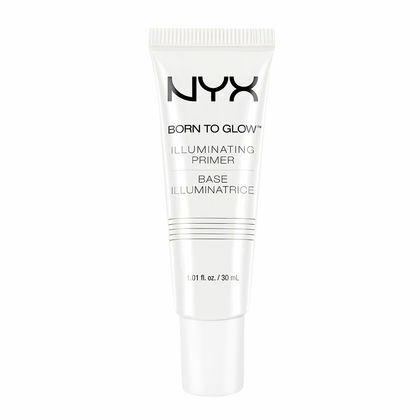 This two-in-one primer ensures the smoothest makeup application while also delivering an exquisitely radiant finish. Skin will have an amazingly radiant look and you will wonder just how she got it. Baked to sheer perfection this luxurious formula is packed full of pigments to provide a natural glow and highlight to the face. Uniquely designed to be used wet or dry depending upon the makeup statement you want to make. When used dry with a brush the look is light and fresh. Want more color? No Problem! Apply wet with a makeup sponge for more intensity. Comes in 12 shades that are all reminiscent of candy. 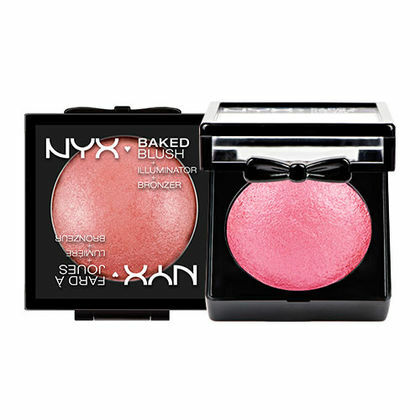 So your cheek will glow with a beautiful candy colored glow. 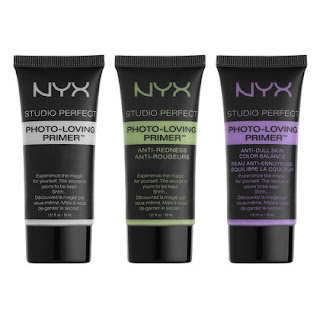 Prepare your canvas with this silky primer. The Studio Perfect Primer formula is easily absorbed and creates a smooth surface for foundation. It also ensures the longevity of your makeup. I tried the clear shade. I like that it has some silicone to it, so that it slips on the skin and foundation goes right over it and stays on right over it without coming off. This is a very nice primer. For today I am just reviewing the facial items that were sent to me. Tomorrow I will do the eyes and lips that were sent to me. NYX Cosmetics can be purchased online at www.nyxcomsetics.com, www.ulta.com and Ulta Beauty and CVS stores. www.nyxcosmetics.com, at Ulta and CVS stores. Soon to be available in NYX Cosmetics Flagship stores. 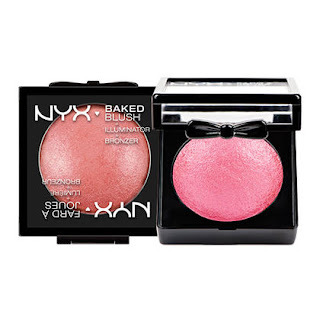 Like NYX Cosmetics on Facebook: https://www.facebook.com/NyxCosmetics; Follow NYX Cosmetics on Twitter: @NyxCosmetics; Follow NYX Cosmetics on Instagram: http://instagram.com/nyxcosmetics/; Follow NYX Cosmetics on Pinterest: http://www.pinterest.com/nyxcosmetics/; Subscribe to NYX Cosmetics on YouTube: https://www.youtube.com/user/nyxcosmetics and Follow NYX Cosmetics on Google+: https://plus.google.com/110336435589621384934/posts.